The MCRx20-QP (Quiet Power) series radiators are heavy-duty, low-noise optimized, liquid-to-air heat exchangers designed to be used with 120mm fans and specifically engineered for high-end liquid cooled Personal Computers. First introduced in 2005, the Quiet Power technology is the result of months of research and development focused on optimizing thermal performance and audible noise characteristics with low to medium airflow types of fans. 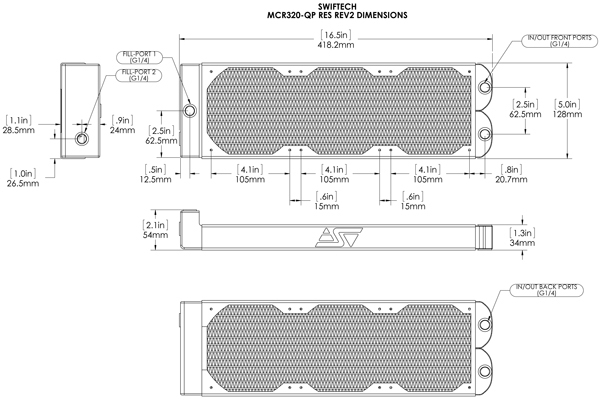 To this day, the MCRx20-QP radiators have set a standard for others to follow, and meet today's PC industry highest thermal loads, quality standards, and low noise requirements at competitive prices. 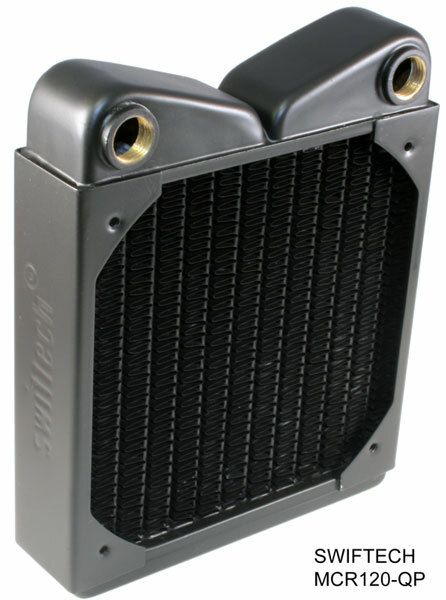 We recommend using a radiator the QP series in applications where the fans will run in the 1200 RPM range or below. 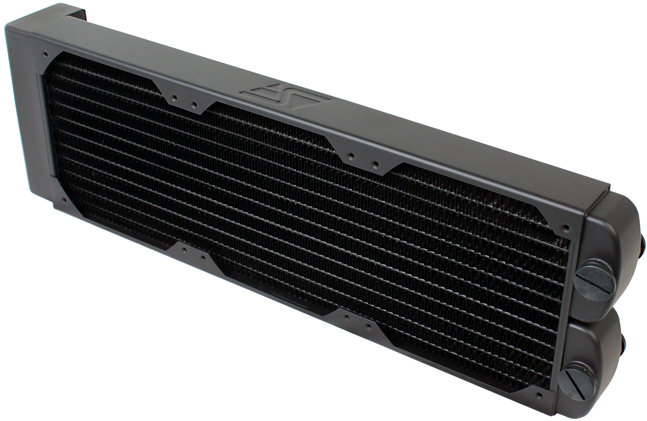 For higher RPM ranges, we recommend selecting a radiator in the XP series. 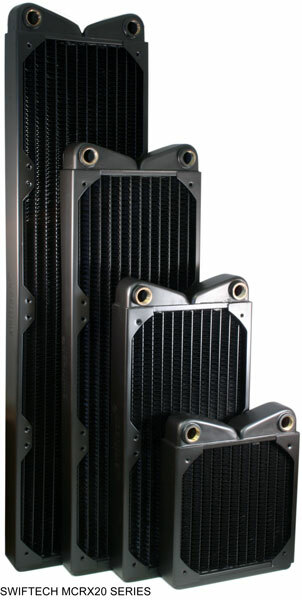 Two versions, with or without built-in reservoir, and four sizes are available: for single 120mm, dual 120mm, triple 120mm, and quad 120mm. 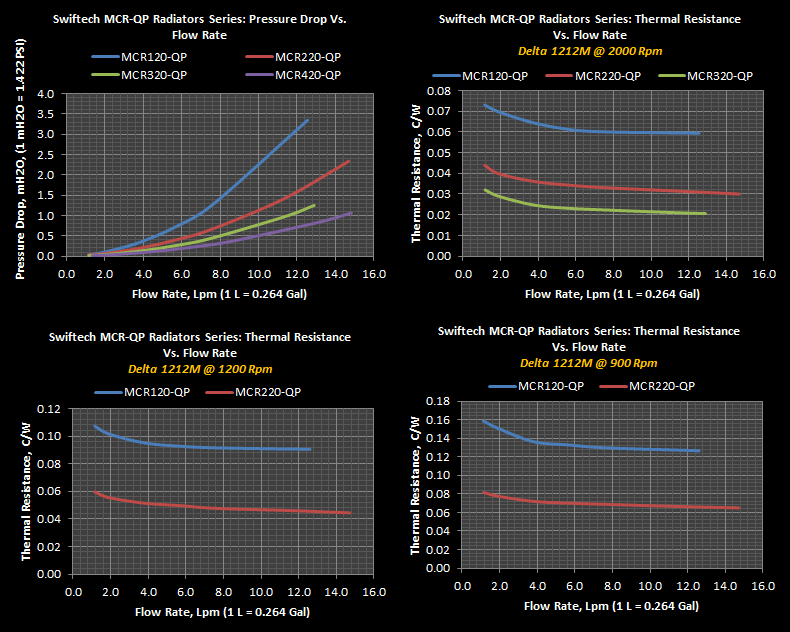 MCR220 and 320 QP RES REV2: G1/4 HUBS throughout: compatible with captive o-ring style fittings depending. 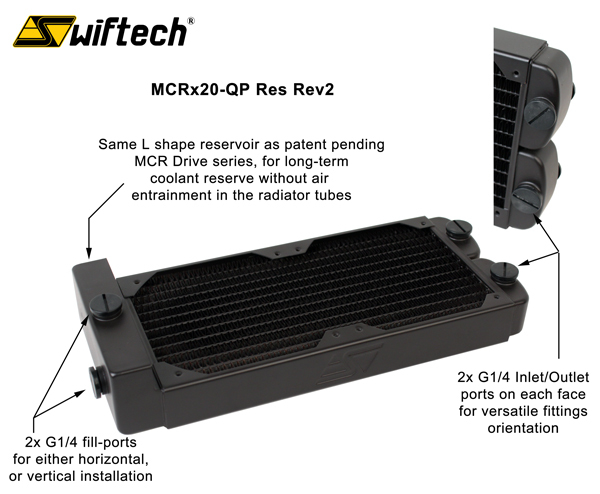 MCRx20-QP RES: Upper plenum is a built-in reservoir and includes a fill-port. Lower plenums are self-purging brass plenum chambers and host the threaded hubs. 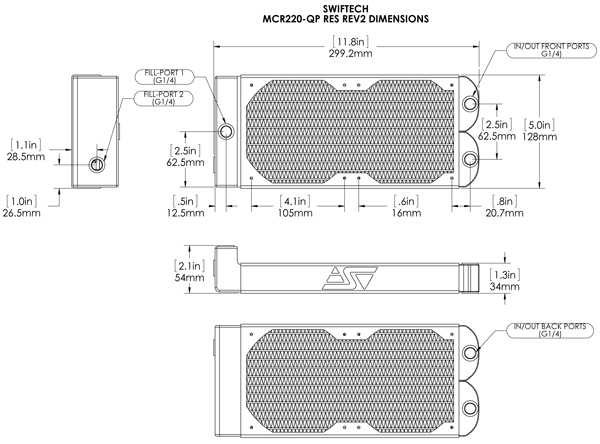 The MCR220-QP and MCR220-QP-Res can be installed using Swiftech's MCB120 "Radbox". 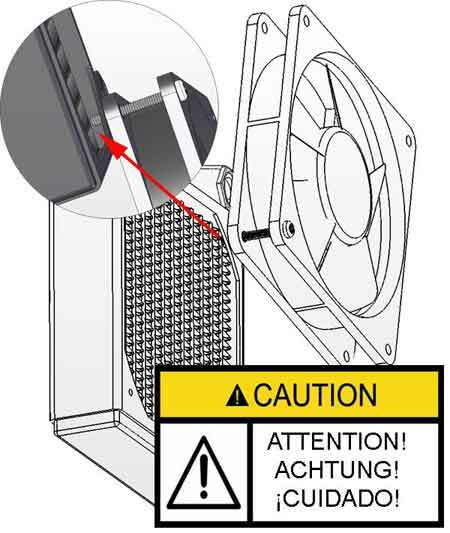 I purchased the three fan unit along with the fans. 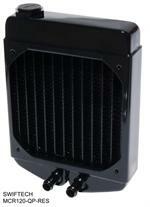 Everything bolted together and dropped right into my HAF X Tower case. 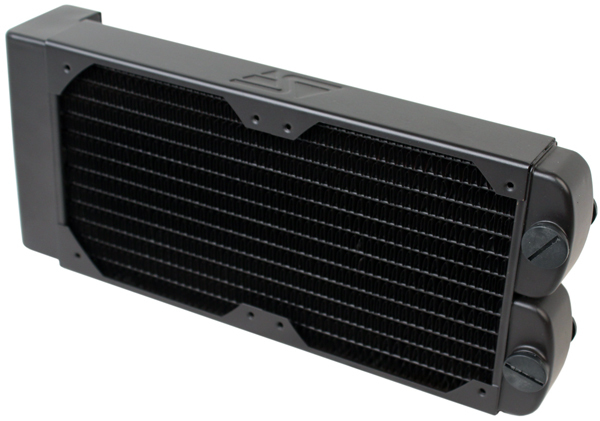 It came with all the hardware required.